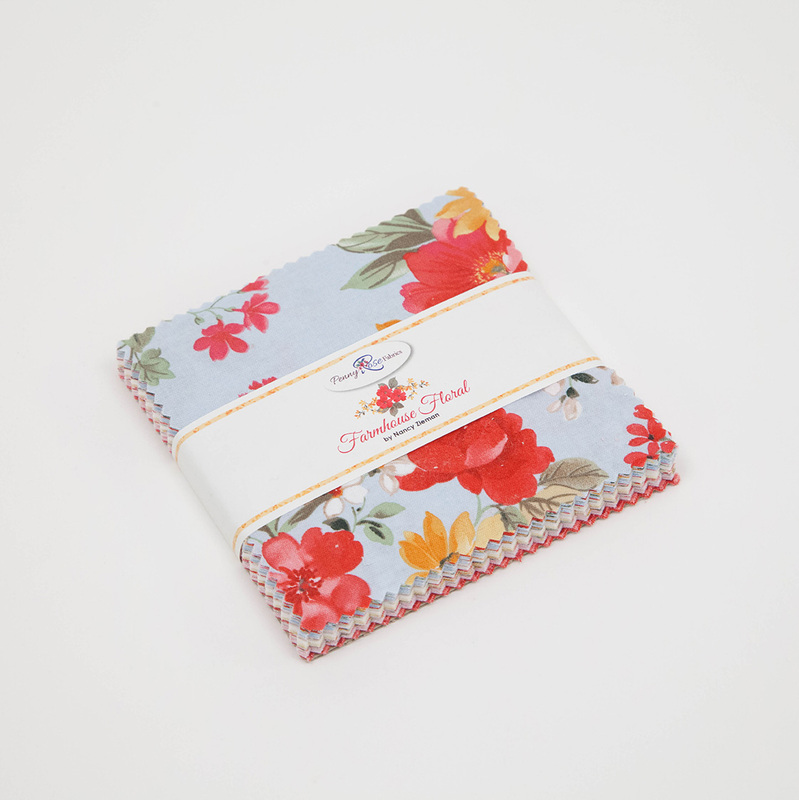 5-6880-42; 5" Stackers (5" Squares) Bundle - Farmhouse Floral by Nancy Zieman. 42 - 5" square cuts. Bundle includes 2-3 pieces of each print in the fabric line. 100% cotton fabric.